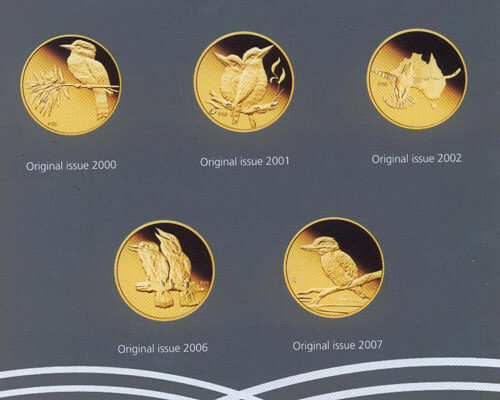 ected all over the world, the Australian Kookaburra is Australia’s longest-running and biggest selling silver coin series. So this superb set celebrating all 20 iconic designs issued since 1990 provides an incredible opportunity to enjoy the outstanding appeal of the entire series to date. 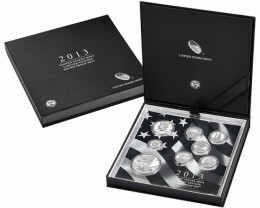 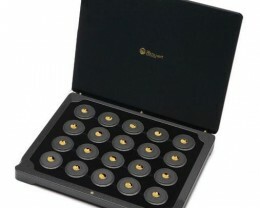 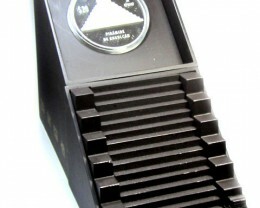 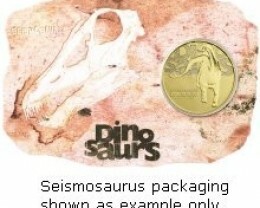 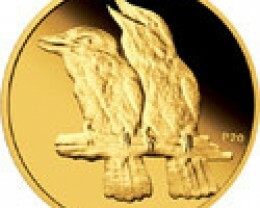 Each coin in this 20th Edition set comprises 20 coins each struck from 1/20oz of 99.99% pure gold in proof quality. 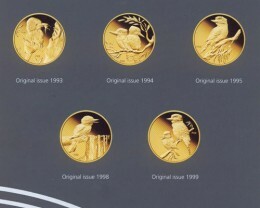 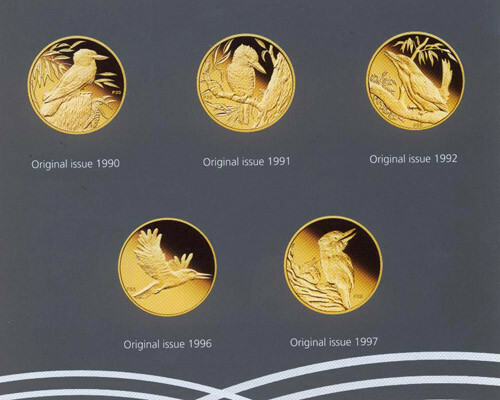 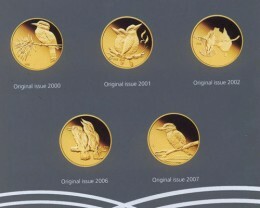 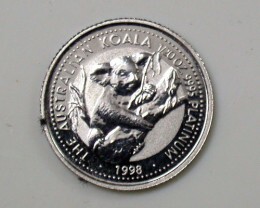 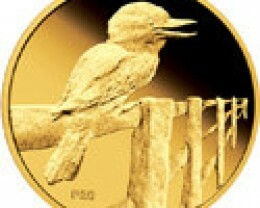 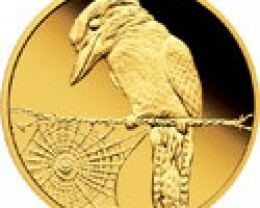 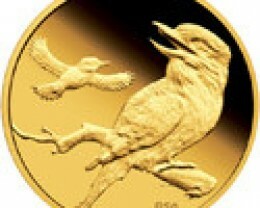 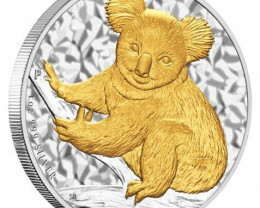 The reverse of each coin reproduces an original work-of-art first seen on 1oz silver bullion Australian Kookaburras released between 1990 and 2009. 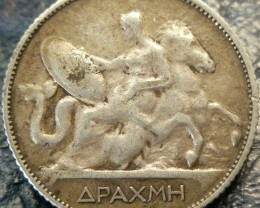 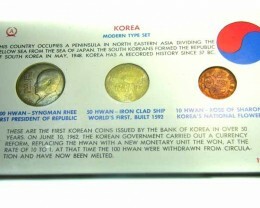 The reverse of each coin includes an exclusive ‘P20’ mintmark. 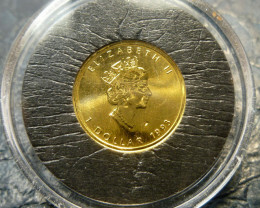 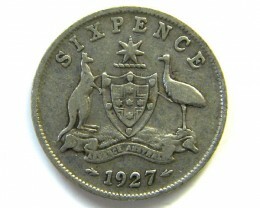 Issued as legal tender under the Australian Currency Act 1965, all 20 coins portray the Ian Rank-Broadley effigy of Her Majesty Queen Elizabeth II and the 2009 year-date on the obverse. 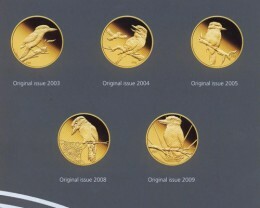 A fitting tribute to the Kookaburra’s role in Australia’s numismatic heritage, this 20th Edition Gold Proof Coin Set is limited to a maximum mintage of 2,009 worldwide. 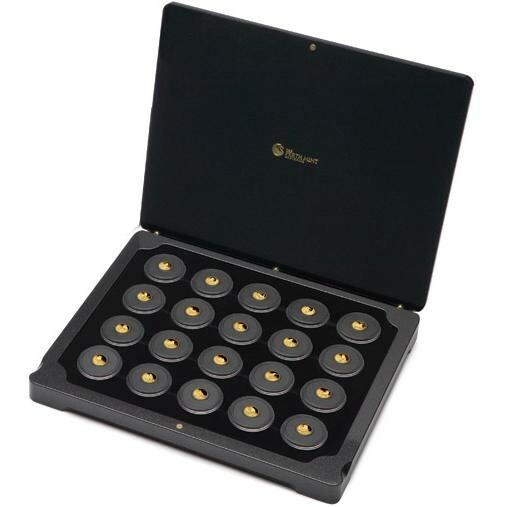 Befitting the significance of this milestone release, the set is housed in a luxurious metallic-black presentation case embossed with The Perth Mint’s swan logo on the lid, and a stylishly-designed shipper.